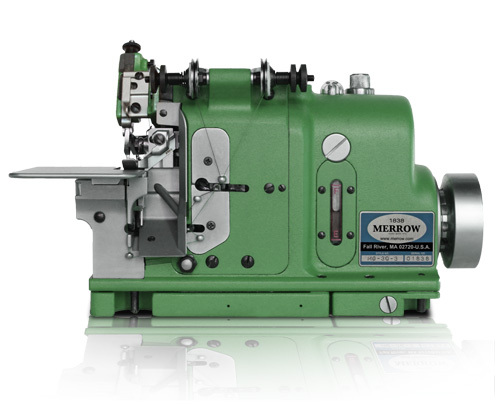 The Merrow MG-3Q-3 High Speed Shell Stitch Machine sews an astounding 5 shells per inch, creating the tightest and most beautiful stitch for garment edges. The MG-3Q-3 sews an incredible five shells per inch at extremely high speed, though the number of shells can be adjusted from three to six. It is a three thread machine that allows you to vary the color and appearance of the shells, and it sews on a range of materials - from fleece to looser wovens. 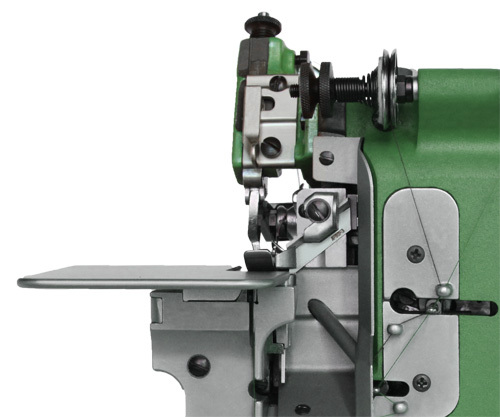 The MG-3Q-3 sews faster and produces a higher quality and better looking shell than any other sewing machine. Each shell produced on the MG-3Q-3 has a remarkable six "prongs", and each joins seamlessly with the ones adjacent for an overall beautiful effect. That the MG-3Q-3 can produce shells of such quality and consistency is a testament to Merrow's tradition of engineering and innovation. 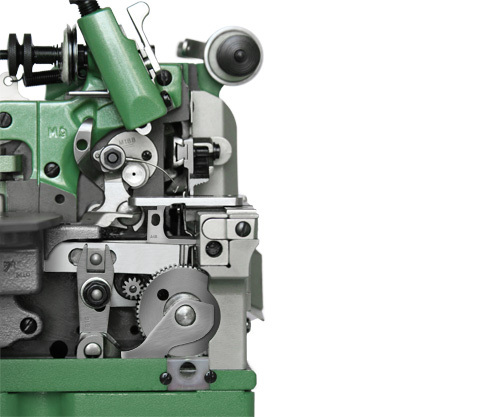 The MG-3Q-3 sews with loopers rather than latch hooks - loopers are faster and more reliable. The advanced feed mechanism is calibrated precisely with the looper and needle throw, all of which are driven by Merrow's proprietary cams. Cams allow for adjustment to the .001 inch, and tight tolerances are required for tight shells. 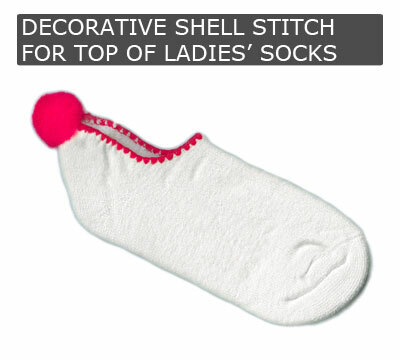 The MG-3Q-3 is used anywhere an accent on a garment is required - from quality athletic socks to baby clothes and blankets. 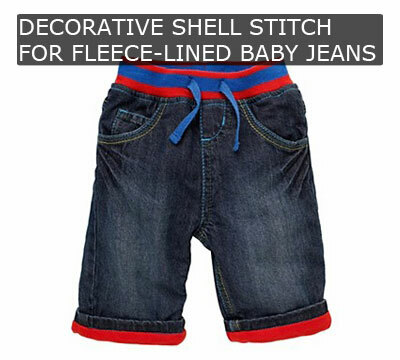 The shell stitch is a mark of quality and distinction and is one of the most beautiful stitches in the Merrow arsenal. 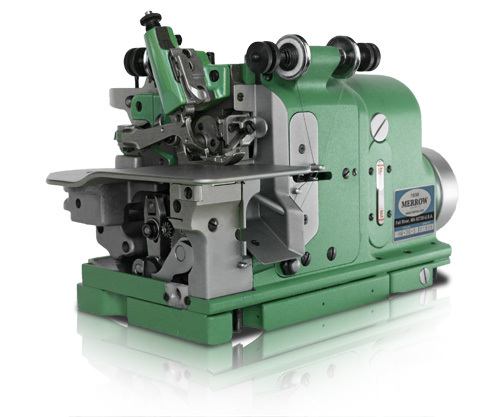 We will build out a custom machine, at no charge, and sew your material off on the MG-3Q-3 (or other machine if appropriate). 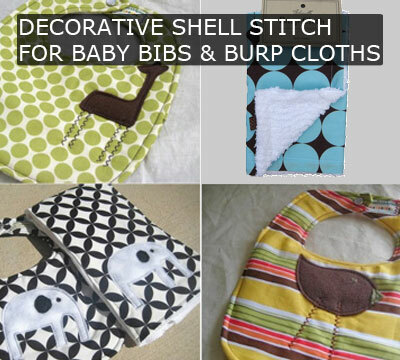 If you would like a video of the process we will provide this along with the sewn sample.